February 2019 Showing Index Results: Are we in a Buyer’s Market? 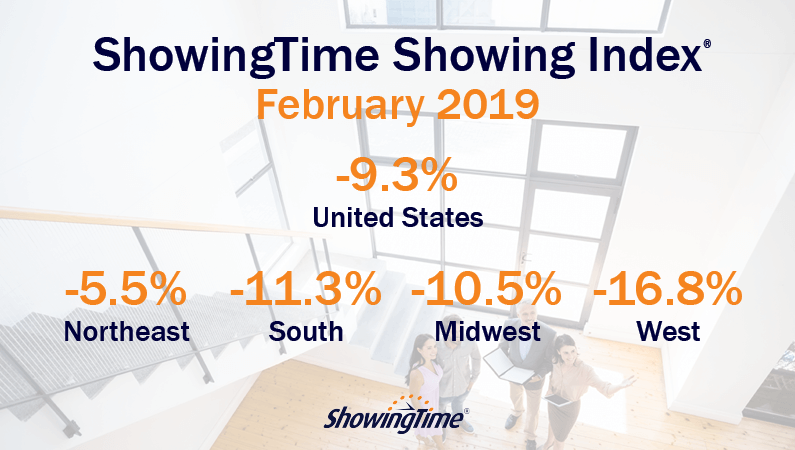 March 26, 2019 – The traditionally busy spring home buying season can’t come soon enough for home sellers across the country as February continued the trend of year-over-year declines in showing activity, according to data from the ShowingTime Showing Index®. To view the full report, visit showingtime.com/index.